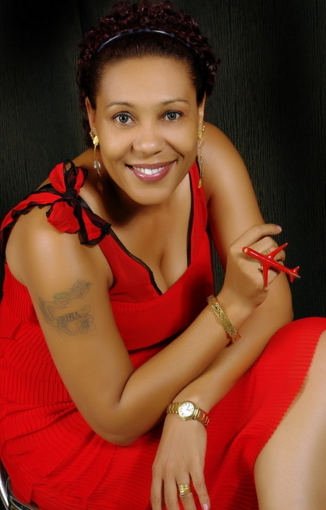 Nollywood actress Shan George survived a ghastly car accident in Enugu yesterday. 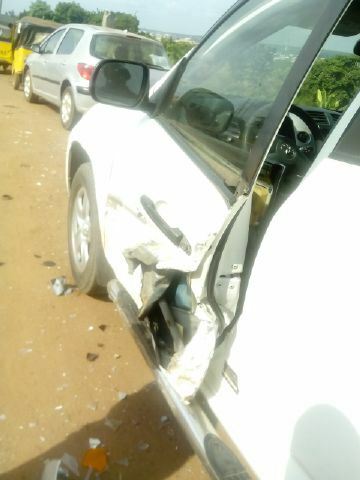 She was heading to a movie set in Calabar from Lagos with her Personal Assistant and manager when a speeding Toyota car rammed into her jeep. Luckily for her, she only sustained serious injury on her left leg. 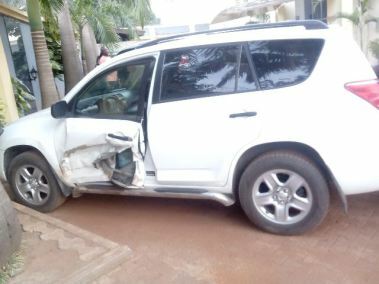 The actress is still unable to recover from the shock she got from the ghastly accident. E no go beta for the person wey wan kill u. 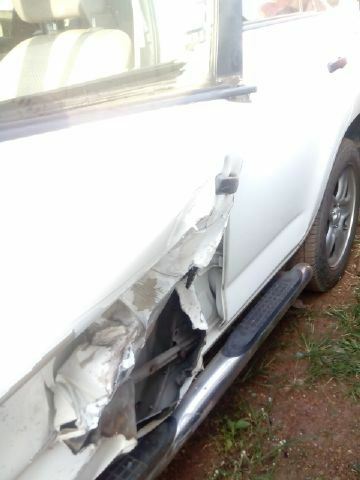 Thank God you survived,please go and give thanks to God for his mercy.